As you know, we’ve been in Mexico for a short vacation. Although it has only been nine days since we arrived, much has happened in that time. One of the most remarkable things is that we have been able to remain in contact with our family back home which has been critical as my Dad has been in the hospital for our entire stay. Two days ago my Dad was finally able to have surgery on his (almost completely blocked) carotid artery and being able to be in contact via Skype has been a great blessing… and to know that Dad is now on the other side of surgery (and has even been able to complain a bit!) is absolutely delightful! One of the best parts of our visit was the time we spent with our friends from Mexico, David and Rosalba. 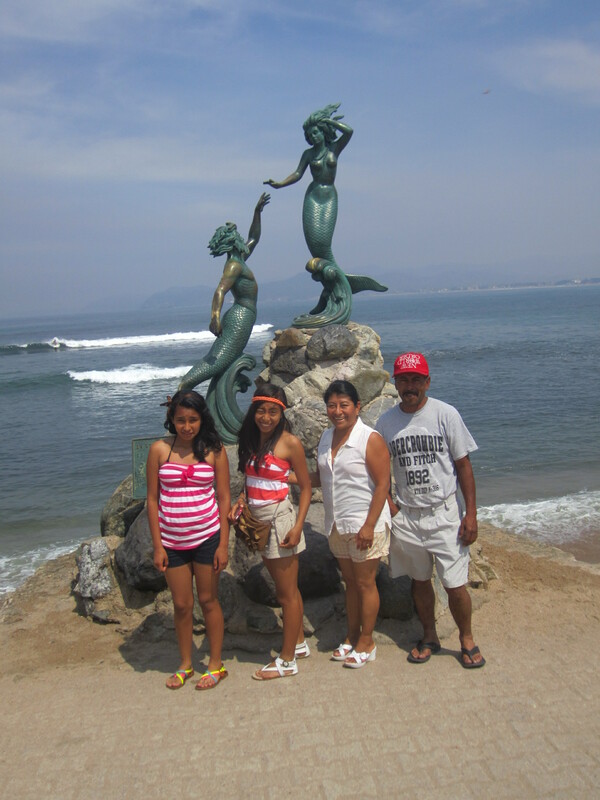 They drove from their home near Guadalajara (about four hours away) to spend a few days vacationing with us. With them came their daughter Miriam and her best friend, Caro – two beautiful young ladies who will celebrate their quinceneras later this year. Together we shared long walks on the beach, lots of sunshine, laughter, tacos, and a few mango margaritas (well, the adults did anyway). It always amazes me is that we are able to communicate so well even though we speak different languages. Yes, it’s true I know some Spanish, but my language skills are pretty rusty. And yet here we are with just the simple desire to be together, and somehow we figure it out. Would that all the world’s differences could be solved as easily! 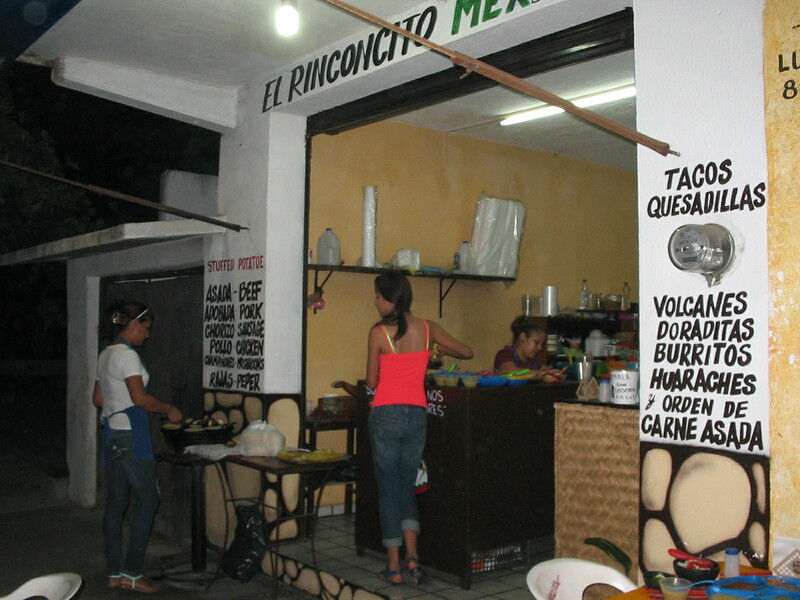 Another highlight came when we shared tacos one night at a little place near the center of town called “Rinconcita Mexicana” (little Mexican corner). We ate at this place last year (in February) with David and Rosalba. At that time I was still immersed in my “year of pies” and had brought a coconut cream pie to share with David and Rosalba and we wound up leaving half a pie as part of our gratuity. This year when we showed up, the waiter, Ricardo, saw us and after a moment asked, “Do I know you?” I shook my head no, but then Emile smiled and said, “yes” and Ricardo pulled Emile’s business card out of his wallet! He commented on the pie from last year (delicioso!) and I was completely stunned! It had been more than 14 months and we had made a lasting impression with half a pie! As we left to go home, I jokingly asked Ricardo if we could get a reservation for the following night. 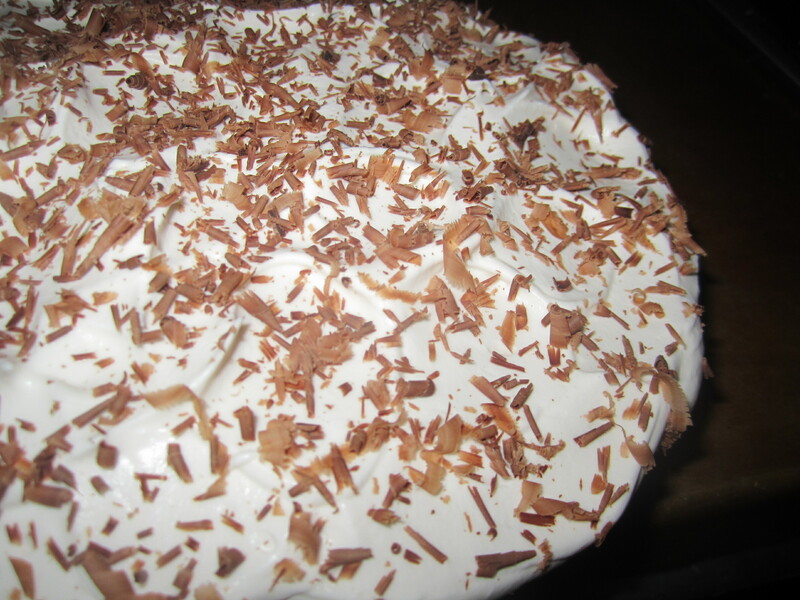 He asked what time and said, “of course.” The next day, I made a chocolate cream pie to commemorate our last night with David and Rosalba and the girls. We arrived at the “restaurant” and found an empty table and sat down. Then Rosalba pointed out that our table from the night before had a notice posted. 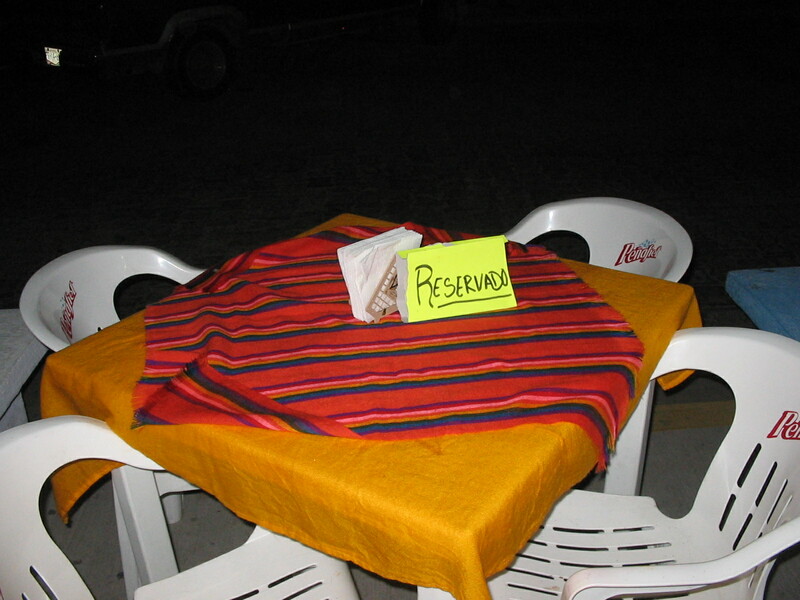 It said “Reservado” – and Ricardo’s wife Nancy told us that they had saved the table for us! I felt honored to have earned a place at their table and, of course, we shared our pie with them once again. 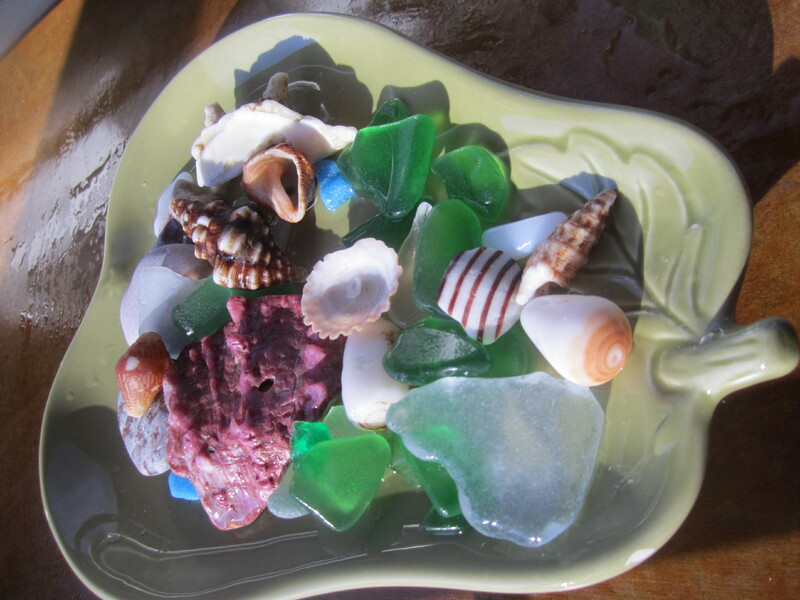 Today we have one last day to walk the beach and to soak up the flavors of this colorful land. We will miss it so much when it is time to go, but feel certain that a piece of our hearts will remain here until we are able to return. So glad to hear that your Dad is on the mend. It must be quite a relief. Isn’t it grand that we can connect with family and friends who are so far away! Yes Mary… quite a relief indeed! Can’t wait to catch up with you at home. Thanks for being you! Me too… though I know I will long for this place in a few days… I know I need to walk up a hill! See you soon!